Feedburner messed things up and did not let my post go out until late yesterday, so I am going to run this one another day. Our final giveaway will be held on a weekend wrap up! Good Luck! Meet Lucy. She’s a bonobo and she’s a lot like you! In this story, you’ll learn about Lucy and her family and see amazing photographs that will make you laugh out loud. What is a bonobo? Bonobos are our closest great ape relatives who live in a uniquely peaceful and matriarchal society. Tragically, scientists predict bonobo extinction within 10 years unless humans protect them and their habitat, the rainforests of the Democratic Republic of Congo (DRC) in Africa. YOU CAN HELP! 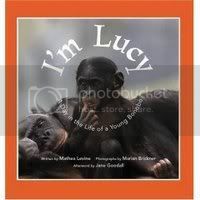 All profits from I’m Lucy go to the Bonobo Conservation Initiative and Jane Goodall’s Roots and Shoots program – organizations working to save the bonobos and the Earth. Learn more on our website: www.bonobokids.org. Login with the special code inside this book for your very own virtual bonobo friend and earn points for helping endangered creatures and our world. Take the Bonobo Challenge by joining our blog community and find out how you can make a real and ongoing difference. Features a special afterword by world-renowned primatologist Jane Goodall! ‘I’m Lucy’ must be purchased from the Bonobo site directly in order for the profits to be donated. So, since this site site only features one product we are going to switch things up and rally up some social networking luv today! Visit Bonobo kids and/or the Eco-Office Gals site read something new, find something you love and be social! 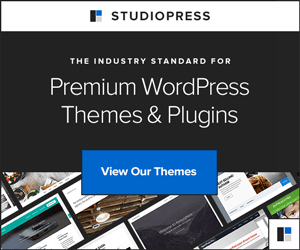 Stumble, Twitter, blog, RSS, forums whatever your poison – just spread the word! Come back here and leave a separate comment for each one you did and for which site. Oh yah, and should you choose to go to the site and buy this book for a great cause… yah, that’s an entry too! Have fun & Good Luck! Winner will be announced this evening! I sent out an email blurb to all my wahm and sahms, friends, family, you name it telling them about Eco-officegals and bonobo website. I showed the website to my girls, ages 5 and 3 1/2 the http://www.bonobokids.org and they loved looking around the website. so we searched more websites for kids about bonobos. and so did a little lesson today about jane goodall. here is the official jande goodall site. ( i do unofficial homeschooling with my girls)… and this website made an excellent informational website as well as topics of discussion for today. she is an amazing woman. http://www.janegoodall.com/ Go spread the knowledge. « Bottled Up Designs Giveaway! I twittered about checking out the site with my girls.